Located in western Montana, Missoula's whitewater rafting creates an amazing adrenaline rush as you tumble over rapids and through steep canyons on a ride you will never forget. As our motto says 'Anything but the Ordinary'. Our whitewater trips are legendary. Come see our options for trip length, rate per person, location and kayak options. Our guides know whitewater so well, we teach river rescue to other raft companies. We have lots of options for local rivers, watercraft, 1/2- and full-day options. 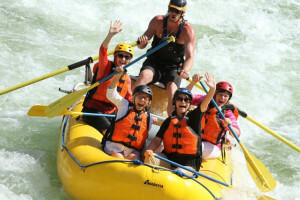 Hire a guide for the day or for a half-day of whitewater rafting. Raft the tight canyons of Alberton Gorge. Catch the scenic beauty and the raging waters on the Blackfoot River. 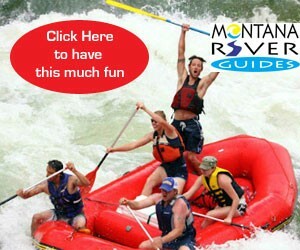 Missoula is a great base for all your whitewater adventures. 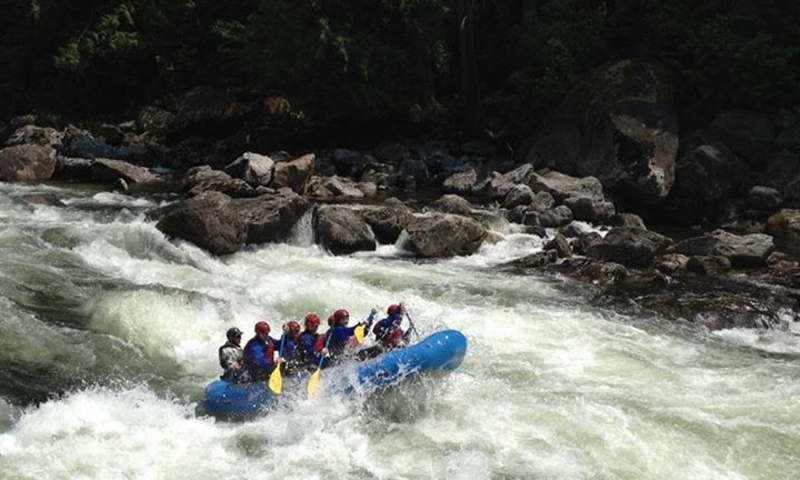 Whoop, yell, and screech your way down the river during a whitewater raft experience you will always remember. Missoula may not be bursting with whitewater options but what it lacks in quantity it makes up for with quality. Class II-IV rapids will set your heart racing down some to the most beautiful rivers in the west. During the smooth stretches keep your eyes open for moose, elk, deer, bears, bald eagles and osprey. Jump in for this wild ride. This is the home of whitewater adrenaline. The Alberton Gorge, located on the Clark Fork River, offers the best in whitewater rafting in Missoula. The river stretches twelve miles through steep canyon walls and offers five major rapids and plenty of smaller ones. The canyon walls rise almost vertically from both sides of the river and offer magnificent colors from rose to rust. The Blackfoot River is home to Thibodeau Falls, where you can find great class III whitewater for one to two weeks in spring, between May and early June. This beautiful glacial stream will take you on a whitewater ride to remember. Traveling down through Canada before eventually forming the southern border of Glacier National Park, this clear, glacial stream produces some serious rapids in the spring and early summer. During this time the Middle Fork of the Flathead River is at its peak with Class III-IV rapids. Hope you make it through “Bone Crusher” and “Jaws.” As the spring run-off trickles off so do the rapids. By late July, the rapids are moderate and fun Class II-III. The Middle Fork is an amazing way to experience the grandeur and beauty of Glacier National Park. The faint of heart, need not apply for these rapids. Forming the remote, western border of Glacier National Park, the Upper Middle Fork of the Flathead has over 75 miles of wild river. 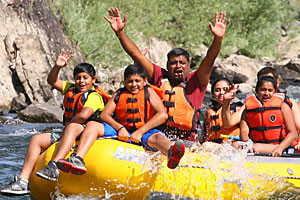 In the spring and early summer, raft the massive class III-IV rapids for a wild adventure. Forming part to the western border of Glacier National Park you have the opportunity to glimpse some amazing wildlife as well as the undisturbed wilderness of the park. Spring and early summer is when you will find these big rapids, topping off at Class III. Brave the raging Buffalo Rapids as you whitewater raft down the Lower Flathead River. In spring and early summer, this river offers ten miles of intense Class IV rapids. Get ready for a killer ride. 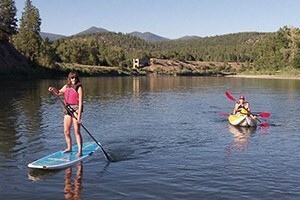 Kayak and raft rentals are available from multiple outfitters in Missoula and near Glacier. Outfitters are happy to set you up with whatever you need, even if its just some paddles or a flotation device. If you don't know what you are doing, do not attempt this whitewater during high season. It's not worth the risk. Hiring a guide is a must do to ensure a safe trip down the river. Let a professional pick the line and tell you when to paddle so you can simply have some fun. There are a number of guiding companies in Missoula and near Glacier, depending on which river you are interested in running. Take a look at a couple of companies to make sure you get exactly what you are looking for. Explore your options in the listings on this page.